9-year-old girl from Honduras granted asylum in U.S.
Dina Rosales escaped violence in her native Honduras and has now been granted asylum in the United States. 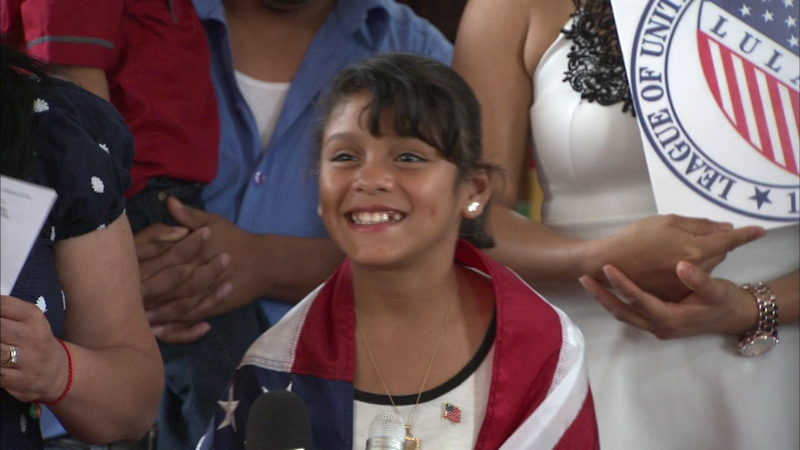 CHICAGO (WLS) -- A 9-year-old girl who escaped violence in her native Honduras has now been granted asylum in the United States. Dina Rosales was separated from her mother from the time she was an infant until April 2013. She came into the country during an influx of children from Central America. She and her family are living in Lake County. Rosales' lawyer says she will soon become an American citizen. Her mother calls it all a dream and says she couldn't believe it was true until Friday.